RUDRAKSH PHARMA & SURGICO PVT.LTD. is a leading manufacturer and suppliers of close wound suction unit that praised by our clients for its extra ordinary features like. 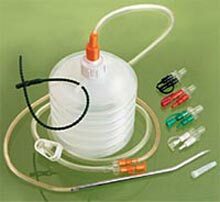 Our close wound suction unit comprises of following units. © Copyright 2010 - 2010. Rudraksh Pharma & Surgico Pvt.ltd.